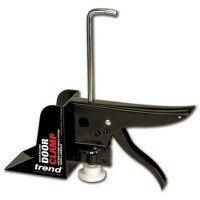 Trend D/CLAMP/A Door Holding Clamp Features No set-up time needed. 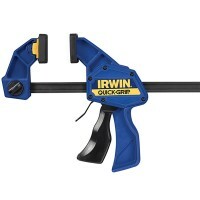 No more searchin..
Quick-Grip 518QC Quick Change Bar Clamp Features Size 18in 450mm Clamping capacity ..
Irwin Quick-Grip Xtreme Pressure One Handed Clamp Features Size: 12in 300mm Clampin..
Bessey KLI20 KliKlamp Lever Clamp Features Clamping range up to 200mm. 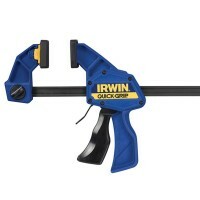 Throat depth..
Quick-Grip 506QC Quick Change Bar Clamp Features Clamping capacity 150mm (6 inch). 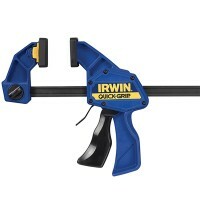 ..
Quick-Grip 512QC Quick Change Bar Clamp Features Size 12in 300mm Clamping capacity ..
Quick-Grip Q/G59200 Handy Clamps 38mm Features Gripping capacity 50mm (2in). 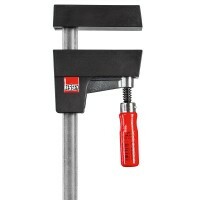 Ratche..
Bessey KR60-2K K Body Clamp Features Quantity 1 x clamp. Clamp opening 600mm (a). 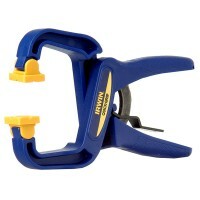 ..
Clamping range up to 250mm. Throat depth 120mm. 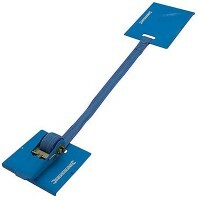 Sliding arm size 22mm x 10.5mm. 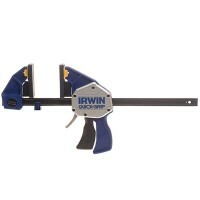 ..
Clamping range up to 200mm. Throat depth 100mm. 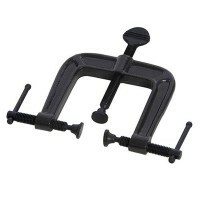 Sliding arm size 22mm x 8.5mm. 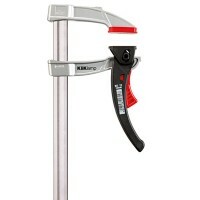 ..
Silverline 633773 Laminate Floor Clamp Features For professional installation of planked ..
Bessey UK60 UniKlamp Clamp and Spreader Features Quantity 1 x clamp. 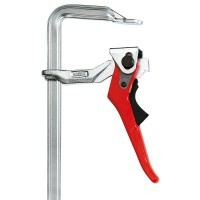 Clamp opening ..
Silverline 868223 3 Way Clamp Features 3-way clamp for easy fitting of mouldings and trim..
Bessey KR80-2K K Body Clamp Features Quantity 1 x clamp. 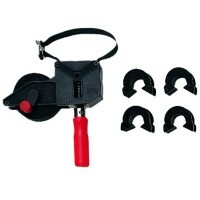 Clamp opening 800mm (a). 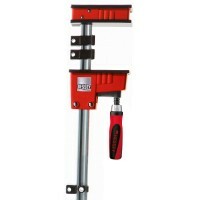 ..
Bessey BAN700 Band Clamp Features Clamping range up to 7 metres. Band width 25mm. ..